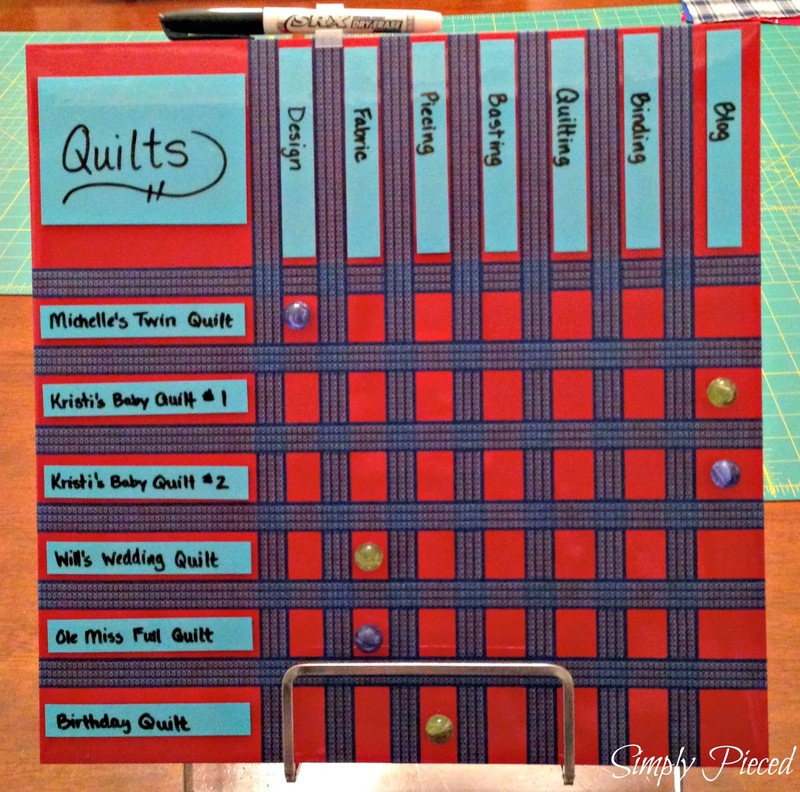 I used to have this piece of paper laying around my sewing room where I kept track of all my quilt projects. It would always get lost under piles of fabric or I would misplace my pen to update it. It was kinda a pain to keep up with and I knew there was a better way to keep track of my quilt progress for multiple projects. This is what I came up with. I went to Walmart and collected all the supplies I would need to put this together. 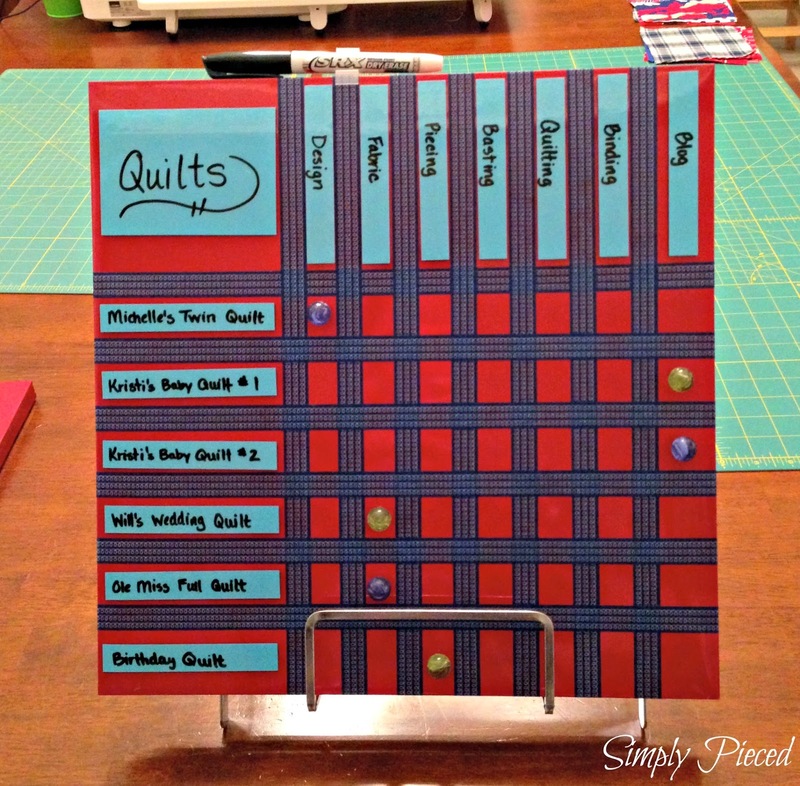 Start with your magnetic dry-erase board and your washi tape. 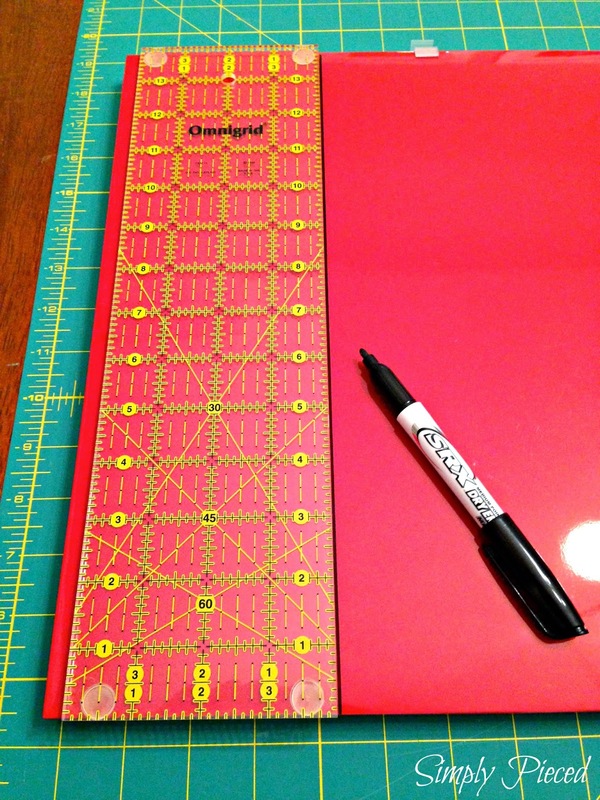 Measure out your first column based on the width of your magnetic strips. My strips are 4 inches long, so I marked 4 1/4 inches to allow for some room. 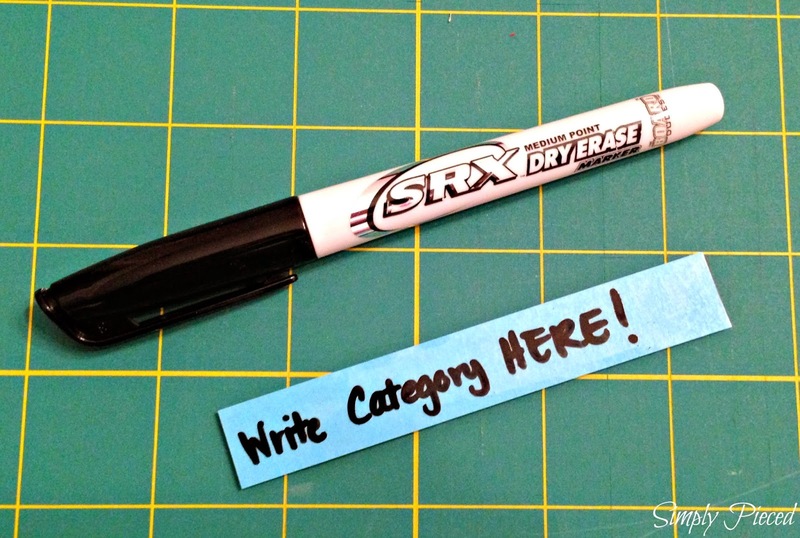 Lay your washi tape along the right edge of your mark. 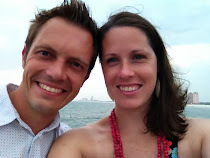 Continue this process to create all your columns. My magnetic strips were 1/2 in wide so I left 3/4 inch between the edges of the tape for the remainder of the columns. Repeat steps for the rows. Now it's time to laminate your color of choice piece of paper. Follow the directions on the package for best results. 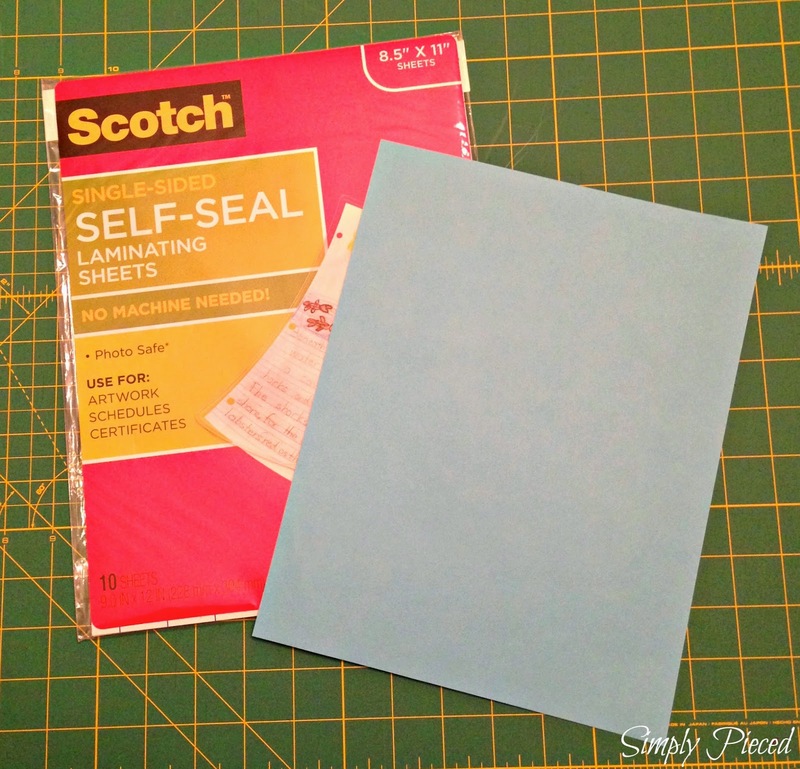 After you're finished laminating, Cut your paper to the appropriate size to create your labels. 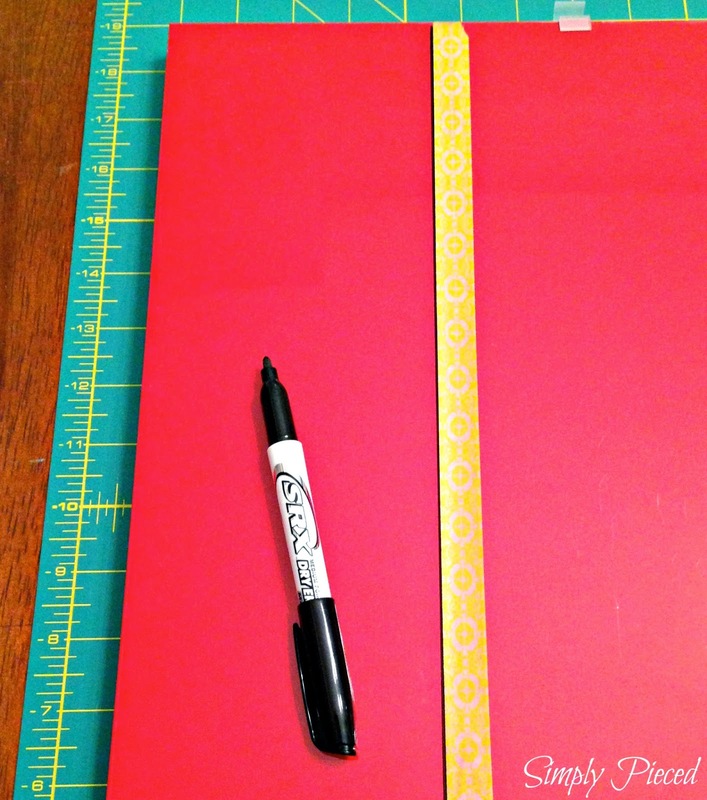 Since my magnetic strips were 4 inches long, I cut my paper 4 inches long. I cut the width of my labels just slightly larger than 1/2 in. Once your labels are cut and your magnets are in place, you are ready to start writing your label titles. 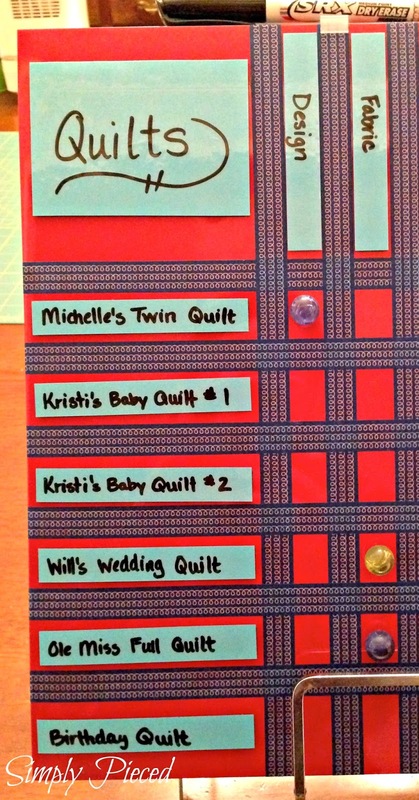 My rows indicate the quilting projects I currently have on my list. If my list is currently full, I try to not take on any other quilts to keep things more manageable. Use the magnetic balls, or any magnets of your choice, to keep track of your progress on your chart. This tracker was fairly easy to put together and it didn't take up very much time. I've really enjoyed having it and better organization always makes my life a little bit easier. Of course, this can be easily altered to meet your needs. What a clever and attractive display! Thanks so much for sharing. When it comes to keeping track, I need all the help I can get! 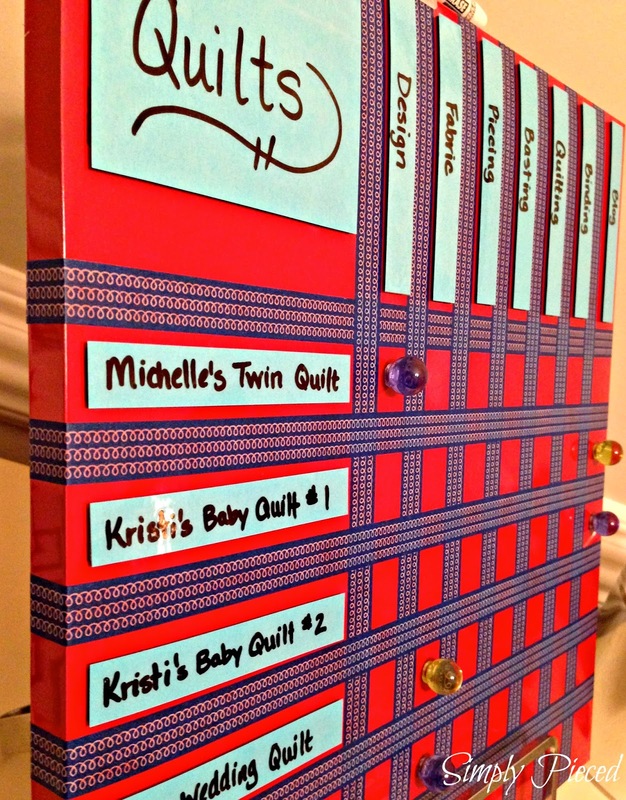 Very clever way to stay organized! Thanks for the suggestion. good idea, and it's colorful! how's the machine quilting going? We chatted about needles and threads last time. I love this!! As soon as I can find my paper list under the piles, I'm heading back here to convert it into something lovely! Thanks for the great tutorial!! Great idea! I will have to make one, otherwise the WIPs keep growing! I love your idea of not adding more than there is room on the board! Wow! This is very organized. Keep up the great work. I am a very organized person..this is really cool! I don't have that many things going at the moment, but if/when I do.. I'd love to make one of these! Oh look at you! I just look at my design wall, my wip pile, or what's stacked around the sewing room and then I generally know where I stand. Maybe that's why you are a more efficient quilter who moves through projects, unlike me! (Aren't those Ole Miss colors on that board?) haha! I love this idea! I have most of what I need right now to make this. Thank you for sharing. Ooh! That's organised. Far more organised than I am. 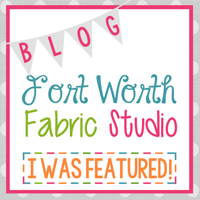 I see a pile of half-sewn projects on my sewing table and pick one up.